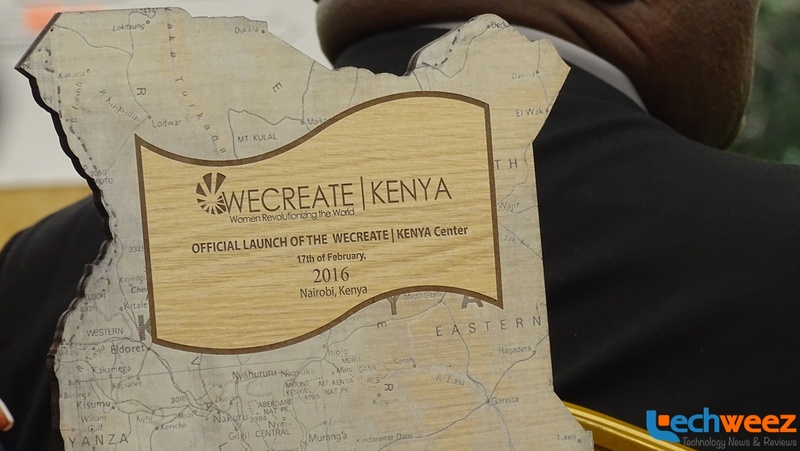 The WECREATE Kenya Centre is the second one to be opened in Africa. The other centre is at Zambia and another to be opened in Mali in the next coming months. A couple of others have been set up in Pakistan and Cambodia. Over the course of time, more centres will be opened up throughout the African continent. The event was graced by the American Ambassador to Kenya, Mr. Robert F Godec who was pleased to see the rapid actualization of the centres from the President’s promise last year. He said that this shows the level of commitment that the President and the US government has on the support to empower women entrepreneurs. He thanked the government for creating an environment for a place like the WECREATE Centre to exist. The Women’s Entrepreneurial Centres of Resources, Education, Access, and Training for Economic Empowerment (WECREATE) Centre is a physical entrepreneurial community centre is replicable in any community. The project is a public-private partnership between the U.S Department of State Bureau of Economic and Business Affairs (EB) and StartUp Cup. Each WECREATE Centre is tailored to a country’s specific economic concerns ad built in a safe and centralized location for women to gain access to vital economically empowering resources. This should enable them to move from the informal sector into the formal sector while generating momentum for measurable economic and societal change. The WECREATE project is not a stand-alone project. As mentioned before, it is a public -private partnership between the U.S Department of State Bureau of Economic and Business Affairs (EB) and StartUp Cup, an organization that focuses on building entrepreneurial ecosystem around the world. Not to be left behind, the Cabinet Secretary for Public Service, Youth and Gender Affairs, Mrs. Sicily Kariuki spoke at the launch highlighting ways in which the government has been empowering the youth and women through various initiatives. She said, “The government has initiated various women empowerment programs which when fully delivered will allow women to enjoy high stakes that exist in business” She also added that 2 million individual have since benefited directly from such funds leading to 9 million families being impacted. In as much as she acknowledged that this was a good result, there was much to do and centres like this only better equip women to take advantage of the resources available. Not only did she offer the government’s support, but given a flexible schedule, she would offer to be a mentor to the women together with a couple of her colleagues.